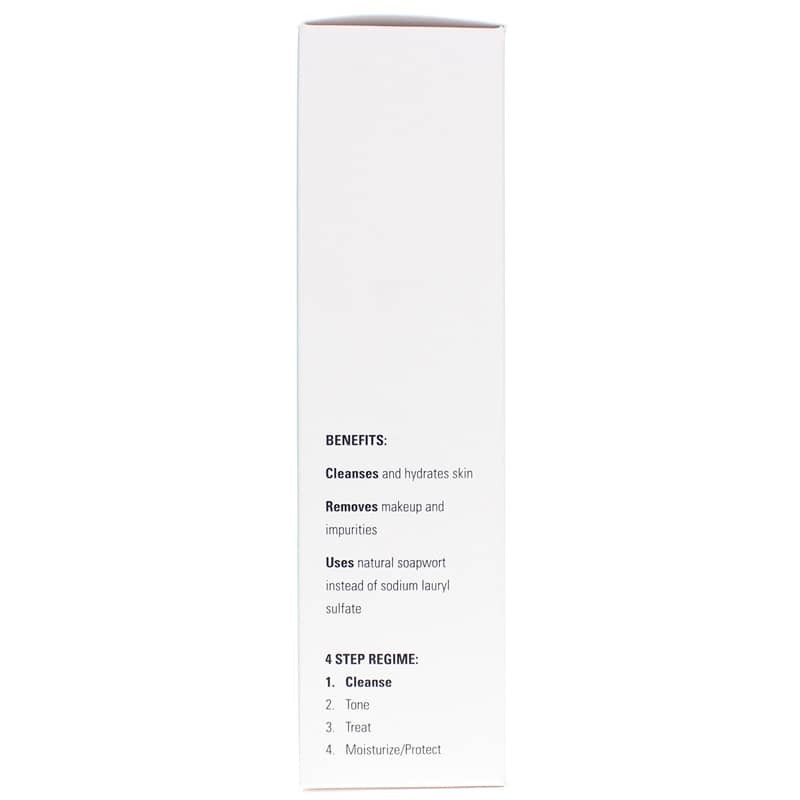 Aloe Vera Moisture Cleanser from Devita is a cleanser that is used with water that leaves the skin feeling hydrated and supple, not stripped or squeaky. Removes dirt, while dissolving make-up, impurities and pollutants. Invigorating, light, clean scent (not heavy and overpowering like many other natural essential oil formulas can be). 100 percent Vegan and Paraben Free. Natural Soapwort creates rich, smooth lather for easy cleansing. Organic Aloe vera fights bacteria and supports natural moisture levels. Organic Jojoba also helps protect your skins precious natural moisture, while Vitamin E, and Devitas exclusive blend of anti-oxidants help to reduce the daily ravages from the environment. Devita products are considered Gluten Sensitive Safe and never contain GMOs. DeVita products are never tested on animals (only humans!). 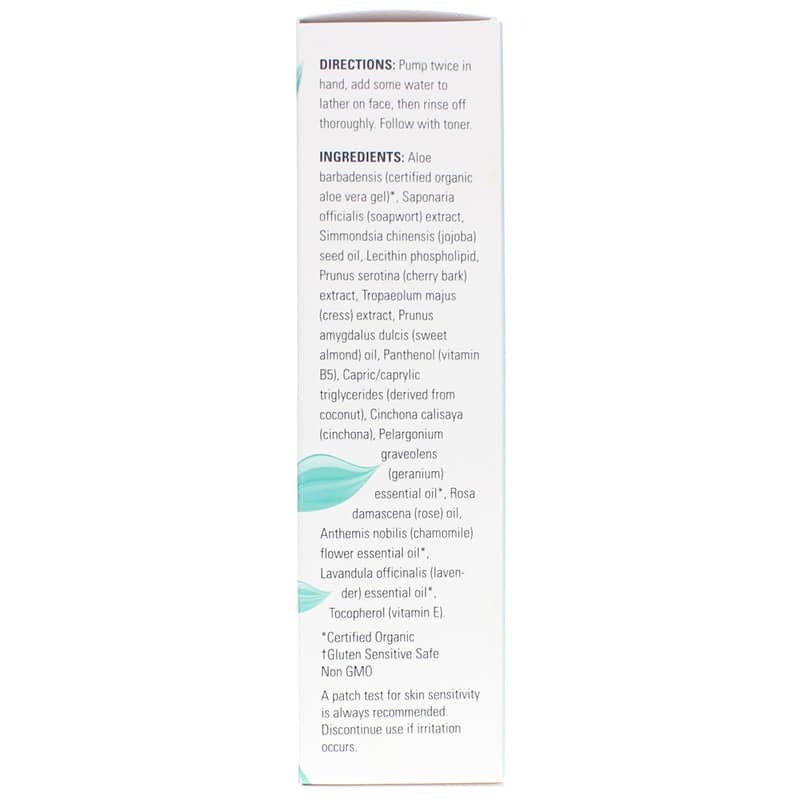 Aloe barbadensis (certified organic aloe vera gel)(1), Saponaria officialis (soapwort) extract, Simmondsia chinensis (jojoba) seed oil, Lecithin phospholipid, Prunus serotina (cherry bark) extract, Tropaeolum majus (cress) extract, Prunus amygdalus dulcis (sweet almond) oil, Panthenol (vitamin B5), Capric/caprylic triglycerides (derived from coconut), Cinchona calisaya (cinchona), Pelargonium graveolens (geranium) essential oil(1), Rosa damascena (rose) oil(1), Anthemis nobilis (chamomile) flower essential oil(1), Lavandula officinalis (lavender) essential oil(1), Tocopherol (vitamin E)(2). Pump twice in hand, add some water to lather on face, then rinse of thoroughly. Follow with toner.